Successfully Added GSM Relay Controller - Quad Band GSM, No Call Fees, Support 64 Authorized Numbers (Silver) to your Shopping Cart. 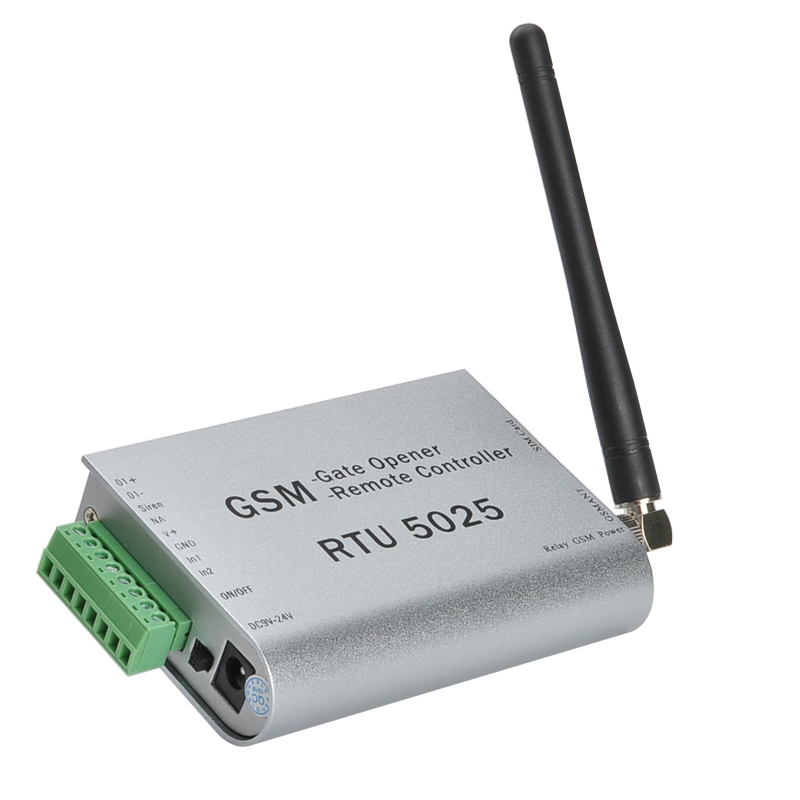 Controll and operate doors, gates, bollards, automated equipment and much more all via your phone with this GSM relay controller. Connect the GSM relay controller to whatever system you need to control, be it automated gates, garage doors, parking access or countless other systems and have total control from anywhere in the world by just dialing a number. A great way to provide remote access for workmen, deliery drivers and visitors when your off site this GSM controller brings affordable seucrity for your assets and properties. There are no call fees to pay as the GSM gate opener rejects incoming calls before and only uses the caller id info to determine its course of action. With the ability to store up to 64 authorized numbers it's an ideal solution to shared parking facilities, communal grounds or work premises and can work anywhere there is 850/900/1800/1900MHz GSM coverage.